There is much confusion over malt – not ‘single malt’ – but malt added to bread dough. The two main classifications of malt are, ‘diastatic’ and ‘non-diastatic’. Many a home baker is suspicious of “diastatic” malt flour until they learn exactly what it is…. I’m just guessing, but I think it’s because the word ‘diastatic’ sounds a bit like an ‘additive’. Fear not…. 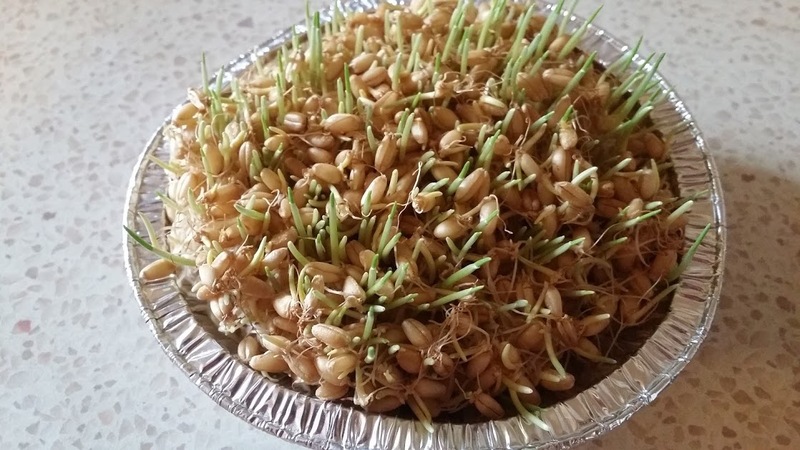 it’s simply grain – wheat or barley – that has been sprouted. Yes, that’s right! In fact, malt is easy to make yourself. You can either make ‘active’ malt which is diastatic, or ‘inactive’ malt which is non-diastatic. More on that later. 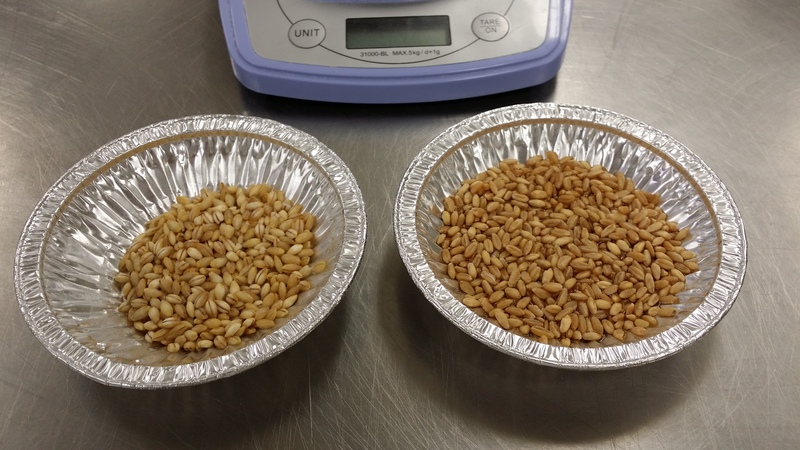 What is the difference between these two – diastatic & non-diastatic malts? diastatic malt is rich in active alpha amylase enzymes. 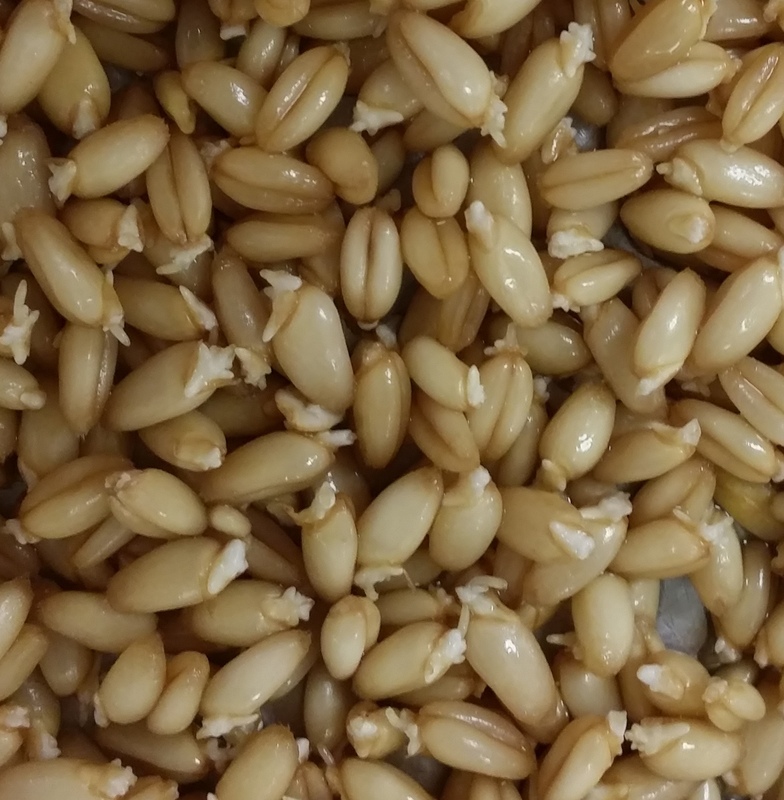 So although Non-diastatic malt may be rich in maltose sugars the enzymes are inactive. This means the enzymes are not able to effect the changes to starch for maltose production and will not provide the needed food for lactobacillus in sourdough. Conversely active alpha amylase catalyse starch into the long chain sugar dextrin. Dextrins are further catalysed by the presence of beta amylase – naturally present in flour – which completes the conversion of starch to the simpler sugar maltose. This process – conversion of starch to maltose – is referred to as ‘diastatic activity’. Diastatic activity is a necessary process to enable the formation of sufficient maltose sugars to provide for the metabolic needs of lactic acid bacteria from the lactobacillus group. Almost all these lactobacillus bacteria (LAB) that inhabit the ecosystem of an artisan sourdough are maltose positive. This means they metabolise maltose, among other things, to synthesise new cells and produce the by-products we desire in our bread. Wheat, rye and barley grain naturally contain alpha and beta amylase enzymes. Beta amylase are always sufficient in quantity in wheat grain/flour. However, alpha amylase quantity varies from season to season depending on the growing and harvesting conditions. A dry continent like Australia has the propensity to produce grain deficient in alpha amylase. This variation in alpha amylase from season to season is why bakers use diastatic malt in bread dough. It makes up for the common alpha amylase deficiency in Australian bread flours. Stoneground wholemeal flour usually has a higher level of alpha amylase enzyme as the aleurone layer of the grain is included in the flour. 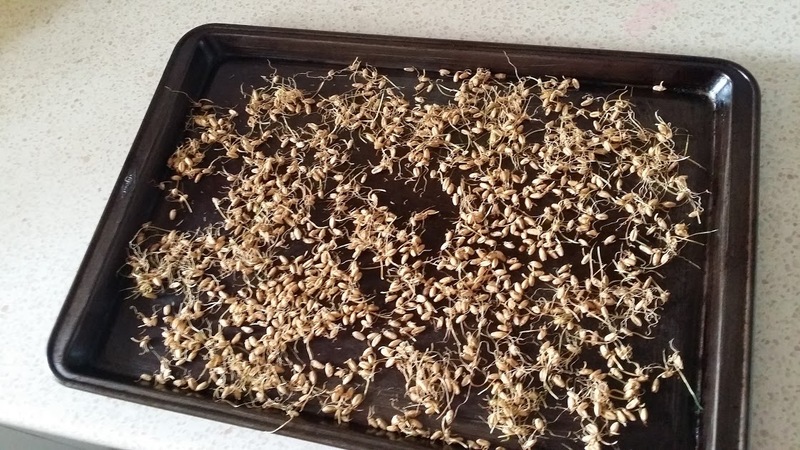 Not everyone wants to make malt but if you’re curious and want to give it a try with the kids, here’s how you can do it in a domestic kitchen. First you’ll need some barley or wheat. I’m sure you can remember when you were a primary school child growing your own wheat in a dish with cotton wool to keep it moist. Well, making malt is as simple as that. Use a tray and cover it with wheat or barley, add tap water and leave at room temperature where you can check it every day. It must remain moist but not waterlogged. Commercial maltsters call this process ‘steeping’. 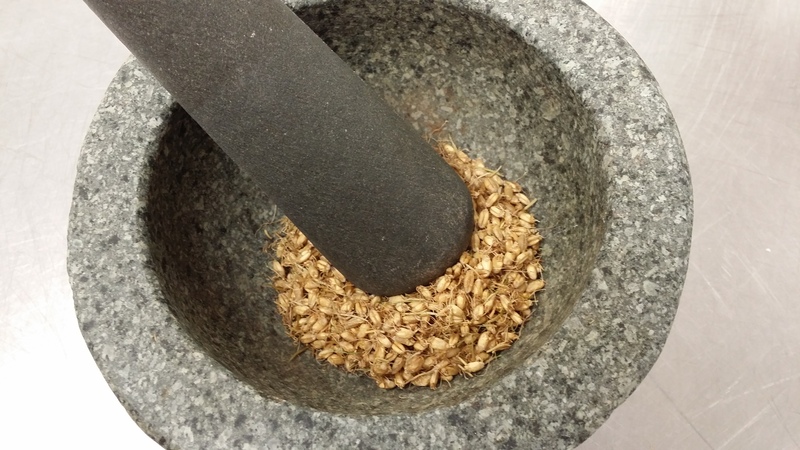 It’s helpful to move the grain by stirring it with your fingers to get it uniformly moist every now and again. In two or three days, depending on the conditions in your kitchen, you will notice small shoots starting to form from the germ. After only a day in this relatively warm weather soaked wheat sprouting has begun. The first shoots (root) will be cream in colour but as the grain continues to sprout a new shoot (plant stem) appears. Its tip has a light hint of green. The greenish colour in the shoot indicates that the grain has reached it’s maximum alpha amylase level. Next, the grain will need to be dried. The quickest way to do this is by drying it in the oven. Bear in mind that the oven must stay below 70°C if you wish to make active diastatic malt. For inactive non-diastatic malt it must reach above 70°C. For diastatic malt the safest way is to ensure the heat remains below 65C. It took us 5 hours in our home oven and then we left it overnight in the warm oven just to make sure! 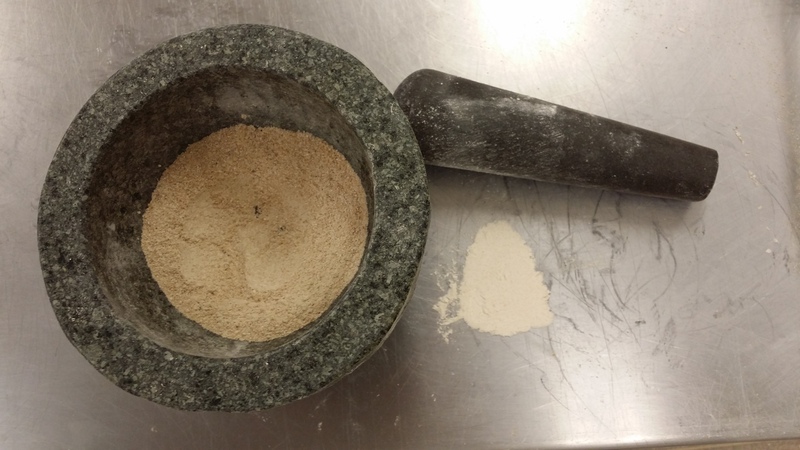 Once it’s thoroughly dry it can be ground in a coffee mill/grinder, a small stone mill, or a mortar and pestle. The finer you grind it the more effective it will be. This is similar to the way commercial maltsters malt grain for bakers, brewers and distillers. The art or trade of the maltster is well understood. Temperature control, timing and specific hydration during the steeping process control the rate of activity of the enzymes and production for different grades of malt for specific purposes can be produced. It’s a bit more variable in a domestic kitchen but it works. Compare the home made malt with a commercial example. Of course non diastatic malt can influence some of the same things but since the enzymes are inactive it really only provides a one-off limited addition of maltose. This gives limited benefits to bread. Now that you know what diastatic malt does in a bread dough there are various techniques to increase the maltose content to generate flavour complexity and effect various bread characteristics. But these special techniques will be discussed in another future post. So those of you who want to try malting and or using diastatic malt in your bread don’t be intimidated by it – good luck and happy malting!